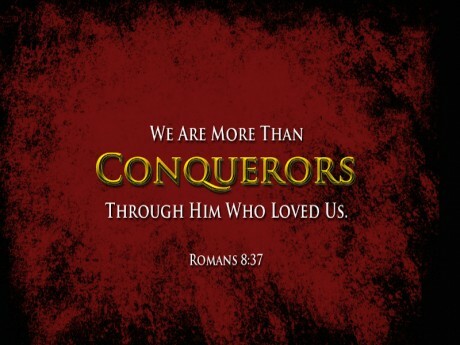 Paul’s Letter to the Romans – Page 2 – God's Grace ~ God's Glory! It has been said that one picture is worth a thousand words. While we sometimes need images to help us see a hidden truth there is no image that will portray the word “faith.” Many people look at the cross, but walk away unmoved and unchanged from their thinking. The picture means nothing to them. Some look but reject the truth of the gospel, thinking that they are good enough. They, like the Jews, in response to the good news of a Messiah and a Mediator have established their own righteousness. Without knowledge, they are ignorant of God’s righteousness; His righteousness established in and through His Son, Jesus Christ. 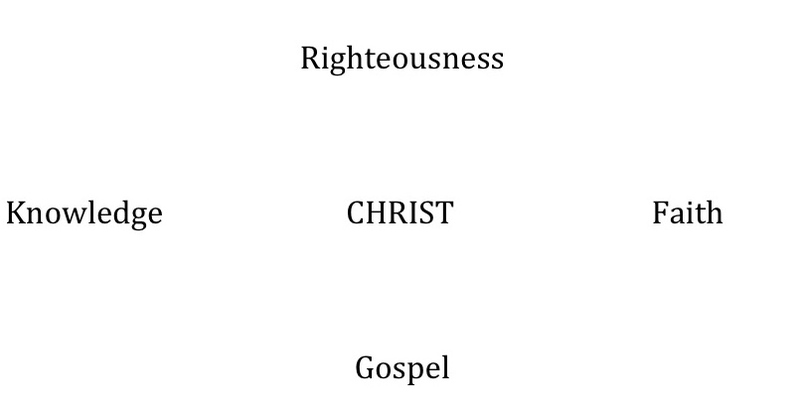 Romans 10 gives us the image of CHRIST, the only means of righteousness before God. Christ is the center, the heart, the beauty of the Gospel, its power and its glory. It comes to us through the knowledge of His word. We need nothing else but the truth of the gospel and the Holy Spirit to work His righteousness in us. We do not need to bring anything else down from heaven, or anything up from the dead. Since Jesus’ life, death, resurrection and ascension we have ample witness to the righteousness that has been supplied for us. We have all that is needed. We have the gospel that has been preserved for centuries, but the power of the gospel that brings nations to obedience of faith is not in the word itself, but in God’s will and compassion to fill our hearts with grace for believing it; for faith and obedience. “The word is nigh thee, even in thy mouth, and in thy heart: that is, the word of faith, which we preach; That if thou shalt confess with thy mouth the Lord Jesus, and shalt believe in thine heart that God hath raised him from the dead, thou shalt be saved. Those who have the word of faith in the heart know the beauty of it. We carry it; we confess it, not just to God, Himself. We preach it in all that we say and do, wherever we go. We live it to His glory and our joy. Dear Father, let those who see us and hear our hearts speak, know that all is from you, the beauty of Christ, the center and whole of life. In Jesus’ name I pray. Amen. Having lost a sister-in-law and a brother-in-law in less than a month has brought me to think beyond my own state of existence to something higher than man and life here on this earth. Such is the case with recording my notes as we continue hearing the preaching of Paul’s letter to the Romans. Again, Paul’s purpose for writing to the Roman Christians is to bring not just one or two, but, some from every nation, to obedience of faith. It is in the power of the gospel that accomplishes what God sent His Son to do; the Son of God with power (1:4) the power of God unto salvation to every one that believeth. For therein is the righteousness of God revealed from faith to faith. (1:16-17). We start with God and continue in a God-centered gospel through the book of Romans. As we come to the most unpopular and unsettled passages of God’s word (for some) in Romans 9 we must, as Paul, let God speak for Himself. In chapter eight Paul begins writing on the doctrine of predestination. If that is not enough he drives the point home dramatically in the next three chapters, to the point of showing that God has the last word on the subject. Getting through these we come to chapter twelve; to which we are brought in response to His mercy; to present ourselves, as living sacrifices to Him. A man-centered gospel cannot save anyone. It tends to bring God down to our own level and make Him what we want Him to be and to say what we want to hear. Paul answers this kind of reasoning in his day, not by using his own understanding or his own words, but even as Jesus when He was tempted answered with the recorded word of the Father, words that had already been established centuries before. 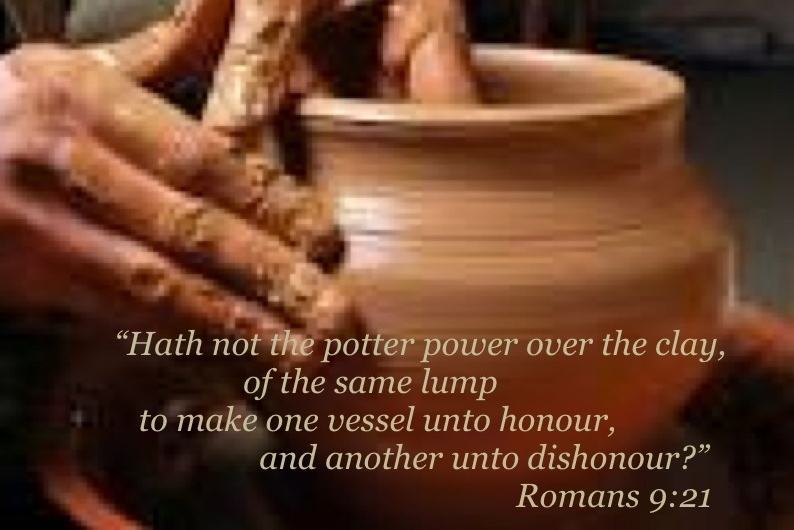 Then in Romans 9:21 he puts man in the hands of a potter. A pot has no mind of its own, nor power of its own to decide what shape or for what use it is made. As the creature we are at God’s mercy. Read the book of Romans and any part of God’s word, and our mouths will be shut, until we know His mercy and grace to us. Then we will be thanking and praising Him for giving us a new heart and a new spirit. A new life beginning in faith and repentance will prove the power of God in our obedience to His word. The Lord our God leaves no room for argument, only the invitation and power to believe and live heavenward, to His glory and our joy. Gracious and merciful Father, thank you that we live today only as you give us the Spirit of your Son to accomplish the work for which you created and redeemed us. We praise you for your grace and yours alone that has saved us from your wrath and made us a vessel for your own use. Fill us with your fullness that you may pour out your grace and love through us today. In Jesus’ name I pray. Amen. We find these truths throughout the Word of God, and Romans 8 expounds on the work of the Trinity. From the planning to the inception God is sovereign; in control; and bringing to pass His plans for our salvation; made before the foundation of the world. The power of the gospel that brings about the obedience of faith in all nations (1:5; 16:26) is the working of the Holy Spirit since the completion of Christ’s work (1:4); and will be finished as He has planned. The Holy Bible is a precious book; a canon; a volume of many books; but more than anything else, it is a workbook, which we must use for all time and endurance of life. It identifies the author, His work, and His workers. We go through, looking for God. He permeates the whole book. We find Him in the beginning and the end. We find Him in Jesus Christ. We find Him in the Holy Spirit. We see Him working in His creatures; in His creation and His redemption. All is His. When we come to the book of Romans we go a little deeper in our understanding of truth that has been hidden from some because of the change in the teaching and preaching of the gospel in the last century. It is only as we see that God has full control to work what He has planned from the foundation of the world; before the world began (Ephesians 1:4; 2 Timothy 1:9) that we can be assured of “no condemnation” and “no separation.” We cannot save ourselves from God’s wrath; or keep ourselves through the suffering and temptation of this world. This chapter connects these truths to each of the Trinity. They are united in this great plan for the power of the gospel for our salvation. As we meditate we look for the work of the Father, the Son and the Holy Spirit. In all study of the Bible we find Christ at the center; all things connecting to and pointing from and to Him for all things. In the halfway mark in Paul’s letter to Romans we need to stop; take a breather; and sit down with this letter that is included in God’s word. I cannot in these notes unpack what has been recorded here for His people. If we take the time to read, meditate, saturate, and absorb what is here we find a treasure box from which God, by His Spirit, brings us to understand the fullness of the truth which we have been given in and through Christ Jesus, our Lord. To understood predestination we need to let God lead us to see the truth of His own work and glory in us. 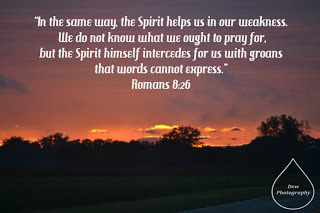 To get the full impact of the whole book of Romans we must allow the Holy Spirit, that intercedes for us, to lead us and teach us here and through the remainder of Paul’s letter. In Romans 8:19-39 we can look for these words; meditate on the verses from which these come; experience the impact; and be assured of the power of the gospel and the Holy Spirit to accomplish all His work within us ~ for His glory and our joy. Dear Father, we are helpless, except for your life that is given us in Christ. I pray for the authority of your word to be commanded in us by the power of your Holy Spirit; to accomplish all that you have planned for each of us today. In Jesus name I thank you and praise you. Amen. 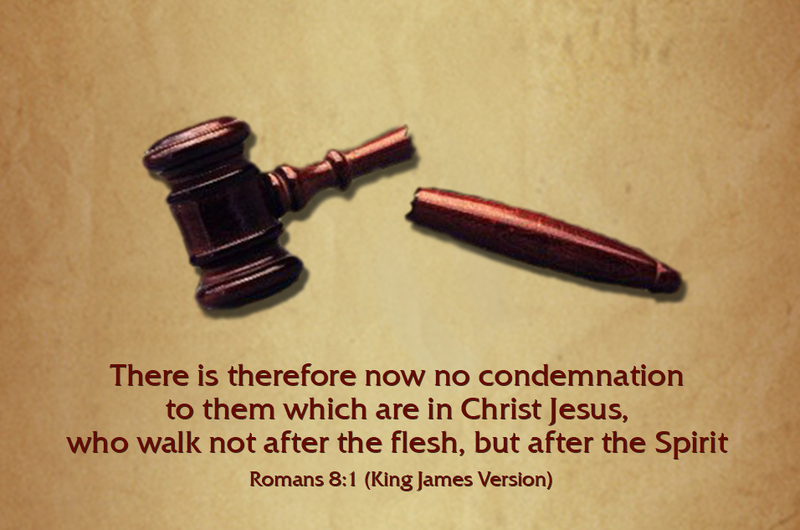 In chapter eight of Romans we see the proof of the power of the gospel to deliver us from the condemnation of the old law, which was written on stone, and to bring in the new law which is written on the mind and in the heart by the Holy Spirit. We are no longer under the law of sin and death, living in the state of, and a slave to sin, but lifted by the law of the Spirit of life in Christ to a state of righteousness in Christ. This new law is a new life in Christ, powered by His Holy Spirit, that enables us to turn from walking after the flesh ~ obedience to our own desires and rebellion against God. This new life of the Spirit in Christ gives us His power, in our struggle against the flesh, to desire to please Him and walk as Christ walked in obedience. This new law now governs and enforces, so as to enable us more and more to mortify the deeds of the flesh. This is the obedience of faith that Paul speaks of in chapters one and sixteen. We are the sons of God, having received the Spirit of adoption, by which we cry, “Abba, Father,” His Spirit bearing witness with ours that we are His children, born of His Spirit for faith and obedience. Then he brings us to the crux of the whole matter. The power of the gospel in our obedience of faith will prove itself in our suffering for the sake of Christ and the gospel. It seems almost ironic that we come into this world under the death penalty, the wrath of God pronounced on the world because of sin. Then He brings His people, by the power of the gospel, from under His wrath to experience the wrath of the world. But, there is a difference ~ a great difference! Those who do not receive the good news of Christ continue under His condemnation here and for eternity. The power of the gospel, even through our suffering for the gospel, propels us forward and upward, onward and homeward to the glory that awaits us in Christ. Many have a great testimony of faith until it comes to obedience in times of suffering for Christ. But, for true believers here again we see Paul’s contrasting. As with the power of the gospel of our Lord Jesus Christ over and above man’s sin, there is the glory that we are promised in Christ over and above what we may suffer for the gospel, for righteousness, and His name’s sake. How do we describe this suffering? Is this always in persecution or does this include the working of the Holy Spirit in us for our sanctification? Is it easy to give up this life for a life in obedience to our Lord and Savior? How do you interpret this suffering in relation to the gospel and walking and being led by the Spirit? Abba Father, fill us with your Spirit, to know the power of Christ in us; that we may witness to this new law in our hearts and lives as we strive in obedience of faith, and struggle against any remaining sins. By your goodness, bring us to repentance and joy in Christ; the freedom promised to us in the precious gospel that is proclaimed in this and every generation; until you have gathered all into the fold. In Jesus’ name I pray. Amen. What a joy to be on the edge of my seat, as I hear God’s word expounded every Lord’s Day. Hopefully you are as enthralled, so as to go deeper with me as I note the main things of Romans 7. Wading through Paul’s struggle brings us to see the victory of the gospel in the life of the believer (chapter 8). We believe that Paul is not speaking of the unregenerate man, but of himself and the experience of the gospel in his own life; “For I delight in the law of God after the inward man:” Only the regenerate man can delight in the law of God. Some say that chapters six and seven are parenthetical, but it seems to us that it is simply a flowing of Paul’s teaching from the beginning of his letter. If we look back we see in chapter one the purpose of his letter; to bring nations of believers to obedience of faith. Also, in chapter one we find two most important concepts. The power of the gospel is set up so as to override everything else that he will say, including the second thing, which is the extreme depravity of man. The purpose and power of the gospel, is to bring man out of his depravity and the condemnation that is ours through the written law of the old covenant. We will see in chapter eight the power of the gospel through the Holy Spirit working within man for his deliverance. The law and the gospel are God’s tools, His means, to bring man to a knowledge of himself; to see first his depravity, and his need for Christ. But the gospel, in itself is a new commandment that the Holy Spirit brings to us; the gospel is different. It does not kill, but brings to life that which is dead. Dear Father, thank you for a powerful gospel, your word of power upholding all things in Christ, so that you no longer see our sins, but us in Christ, covered by His blood and righteousness. Bring your gospel to bear today upon us mightily, leading us in obedience of faith. Enable us, in Christ, to overcome the desires of the flesh. Let the authority of your word be commanded in us by the power of your Holy Spirit. In Jesus’ name I pray. Amen. People who refuse to hear the good news of Christianity, because they don’t see any difference in others who claim to be Christians, are being influenced by them and following in their footsteps. Both are deceived; both are slaves to their own sin; both are obeying their own desires and are at enmity with God. These are continuing to purchase death for themselves and leading others in the same path. As we’re almost half through hearing the preaching of Paul’s letter to the Romans (Romans 6) let us recap the main things. We have learned how powerful the gospel is over the power of sin ~ greater than the power in man to sin is the power of God to deliver man from the dominion of sin. 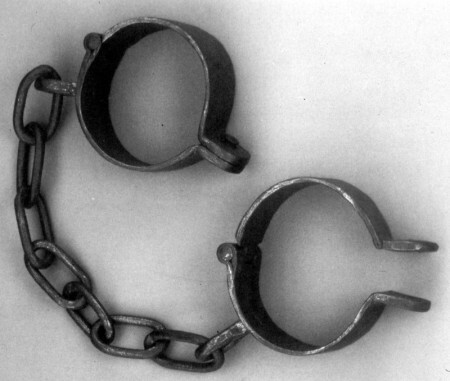 Paul compares the Christian life to that of a slave. We were slaves to sin; slaves of the flesh to our own desires until Christ redeemed us. He bought us with the price of His own blood. So now we are slaves to righteousness. We agree with this purchase when we repent and turn from sin to Christ and follow Him. Proof of His purchase is a new life ~ eternal life ~ that begins here; sanctifying us; setting us apart from the world; and preparing us for His glory. The true Christian is not making excuses so as to continue sinning ~ working for the common wage of death. True faith is new life in the Christian, empowered by the word of God, earned for us by Christ as a gift of His righteousness, and working in us the desire to please Him and serve Him. 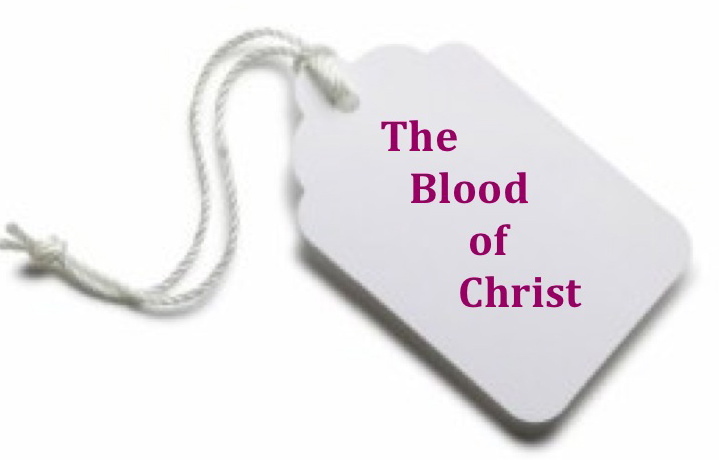 Those who claim the blood of Christ have the witness in themselves and in the reality of a life of righteousness. We no longer love the things of the world; but we love the things of God. We present ourselves as slaves of righteousness to God; and to the world as proof of His purchase. We bear the fruit of righteousness in our lives as proof of what He has planted in us. We shall see in chapter seven the continued battle against sin. Dear heavenly Father, thank you for this unspeakable gift, and the unsearchable riches of Christ, to whom we belong, and in whom we are promised to be joint-heirs of your kingdom. Work in us His righteousness according to the power of your grace. In Jesus’ name I pray. Amen. There is no greater impact on the world than these two three-letter words; names that have rung out over the universe since the creation. Yet, most of God’s creatures have no true understanding of who He is. Each of us conjures up in our own minds what we imagine GOD to be; and when we have a false image of Him we, then by own nature, Sin against Him. As, by His goodness, mercy and grace He has been teaching me who He is, this is an acrostic to help me remember in my old age. This is not to simplify who He is, but in these three words I can see an expansion of all His attributes. We have but to sink into His word, discover, and be raised to a new awareness of what He wants us to know about Him. 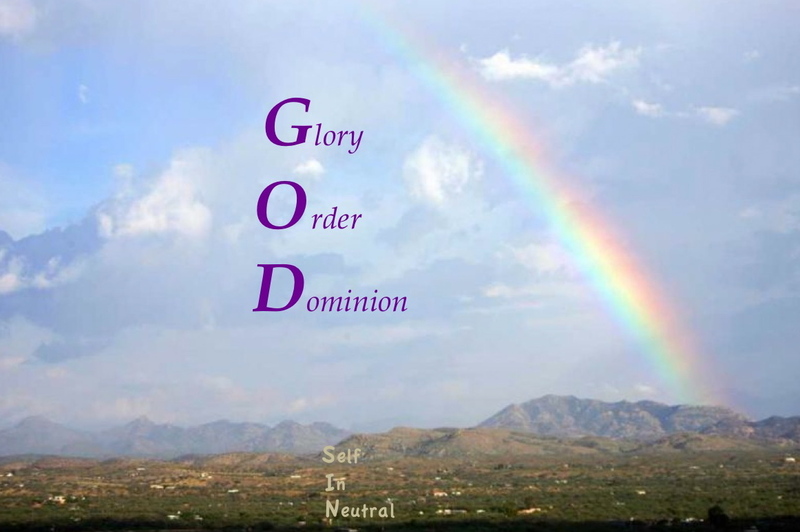 As we study and meditate on His Glory, Order, and Dominion we will see Sin in its true light also. While this may become one of the series of Little Books about the Magnitude of God, I use here only a fraction of references for this short treatise. As horrendous is the sin of man, greater is GOD in His glory, order, and dominion over man and sin. “In his days shall the righteous flourish; and abundance of peace so long as the moon endureth. “We were buried therefore with him by baptism into death, in order that, just as Christ was raised from the dead by the glory of the Father, we too might walk in newness of life. Dear Father, let us remember your glory, order, and dominion today as we pilgrim through this land that the apostle John said, “lieth in wickedness.” Make us to remember that we are dead to sin and alive to you through Christ, your Son. Let us look up today in the hope of our salvation from sin and its dominion. Thank you that we are under your care, even as you have drawn us to Christ, as our Lord and Savior. In Jesus’ name I pray. Amen.